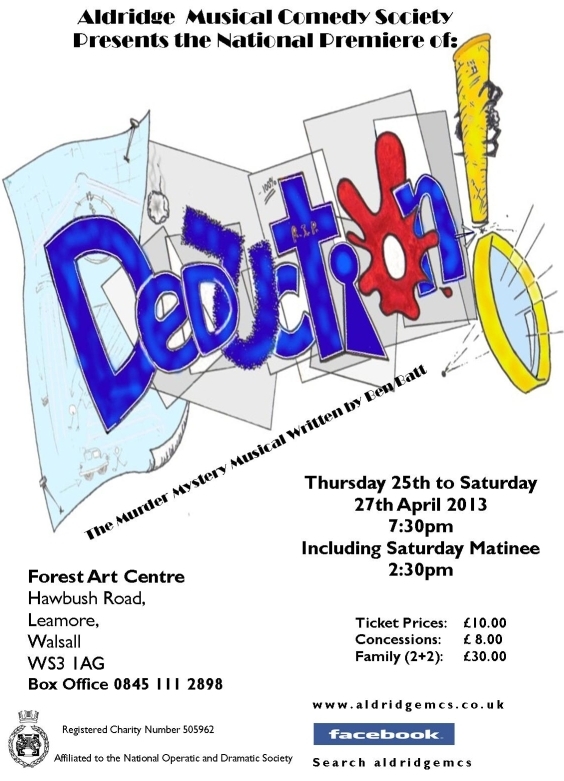 Deduction – A Murder Mystery Musical at Forest Art Centre, Walsall (25 to 27 April). For over 40 years, AMCS has been putting out quality performances and Deduction, will be no exception. Written by musical director Ben Batt, this original production pays homage to murder mysteries of old. Great detective, Noel Uckholmes is invited to a fancy dress ball in order to witness the reading of the last will and testament of Lady Stourbridge, a woman killed in suspicious circumstances. 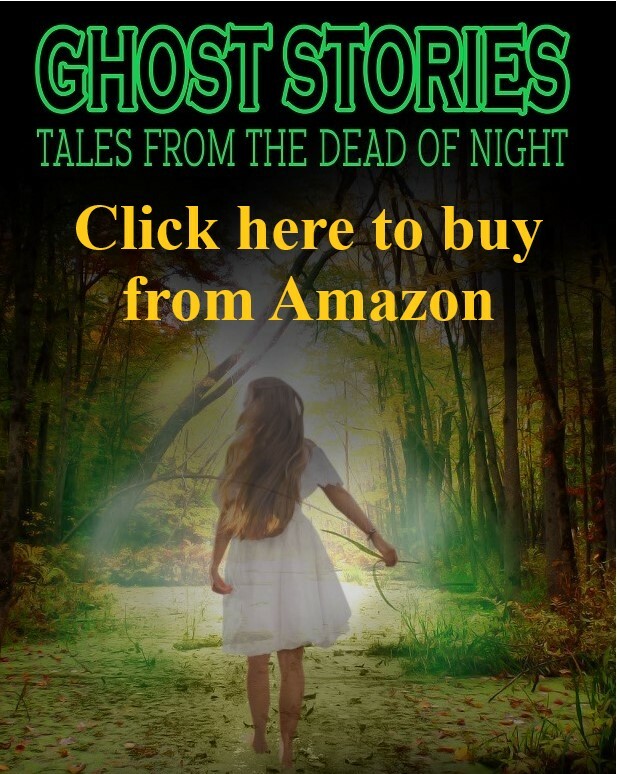 Each of those gathered is not only a potential beneficiary, but also suspect for the murder and as the evening progresses, we find she is not the only one to meet a sticky end. But will you be able to deduct whodunnit? The show is at Forest Art Centre, Hawbush Lane, Leamore, WS3 1AG. Tickets are £10/adult & £8/Concessions with a family bundle (2+2), £30. They can be obtained by calling 0845 111 2898 or by going to the AMCS website.